Summer drinking season is in full swing. Here’s how to do it right. Sure, Moscow mules are delicious, but at this point we may have had enough of the copper-cup cocktail. You can do better. In fact, our summer drink options have never been as good or varied, that I can recall — and many of the drinks are balanced with the same crisp and clean notes of the mule. Since warm-weather drinks tend to be low-alcohol tipples — often mixed with soda, tonic or ginger beer made in-house to keep the cost down — they’re often just as cheap, priced at $10 or less. A gin-and-tonic renaissance is under way, with mixologists topping the drink with all sorts of foliage. 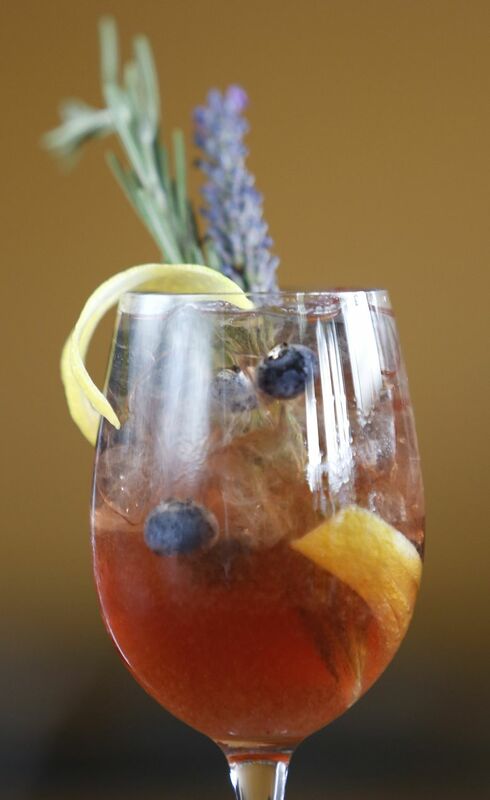 It’s an homage to the way Spaniards drink a G&T, served in a wine goblet and filled with fruits and herbs. Instead of the usual juniper- and quinine-flavored cocktail, bartenders souped up their house-made tonics with a dozen botanicals to create distinct flavor profiles. 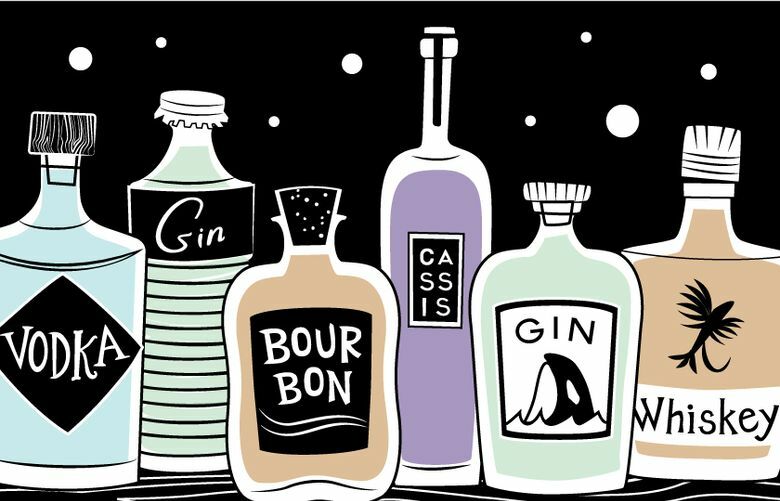 The gin and tonic is the most interesting and complex drink you can get for under $10. At Smith on Capitol Hill, the tonic is made with 11 herbs and fruits to pair with Batch 206 gin. The gin’s cucumber and tarragon flavors meld well with the floral and citrus notes in the mixer. 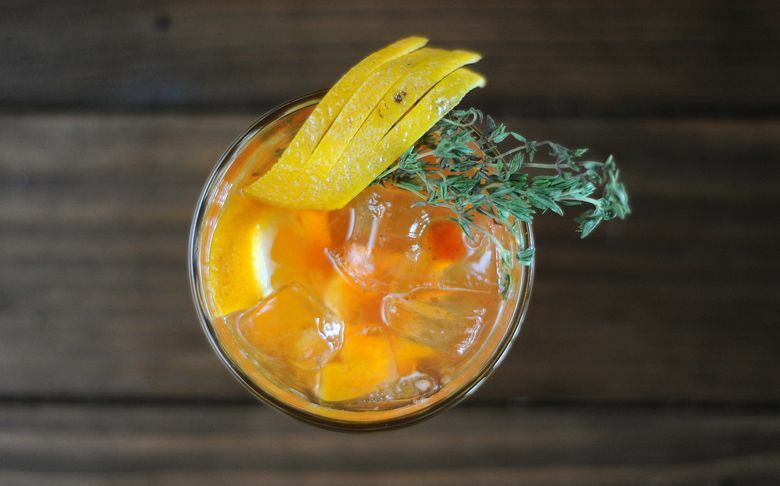 And the lavender in the gin adds “a nice floral note to the rose hips that we add to the tonic,” said Myles Burroughs, beverage director for the Derschang Group, which owns Smith. Nearby, Liberty features a different gin and tonic every other month or so, including one with pressed cucumber, red bell pepper, habanero and orange bitters. Up north, Maple Bar in Maple Leaf also hews to the Madrid style, using peppercorn, fruits and rosemary from its own garden. 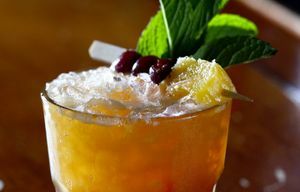 One of the oldest cocktails, the sherry cobbler is making a comeback. Consisting of sherry, sugar and fruit over a mound of ice, it’s essentially a spiked snow cone. Just let the nutty and creamy notes of the sherry soak into the ice. It’s part sangria, part julep. Canon has a decadent take with oloroso sherry, sloe-flavored liqueur, maraschino and Angostura bitters. It’s topped with mint and blue­berries, raspberries or other seasonal fruit. In North Lake Union, the bar-restaurant Westward adds a playful dose of smoked honey. Since sherry is fortified wine, even bars with only a beer-and-wine license can serve this cocktail. It’s the most profitable drink for many Seattle bars. Thanks to the heat wave, patrons have rediscovered spiked slushies. Three dozen bars now make frozen cocktails including Bait Shop, Nacho Borracho on Capitol Hill, Shorty’s in Belltown and JOEY in Bellevue. Even Tom Douglas has gotten into the act, bringing in several slushy machines behind the bar at Cantina Lena and TanakaSan. But drinker, beware: It’s also the cocktail that many bars do badly. The colder temperature throws off the alchemy of the cocktail — especially those that have high-sugar or high-alcohol content. Many cocktails also don’t translate well as icy drinks. Drunky’s Two Shoe BBQ in Ballard and Artusi on Capitol Hill make some of the best in the city. Can we just chill out with the IPAs for one moment? Because the best thirst quencher is the shandy or, as it’s called in Germany, a radler, a mix of fruit soda and beer. Ok, so it’s not a cocktail, but I’m seeing more patrons order radlers at craft-cocktail bars lately. Line cooks and other industry workers made the radler their go-to drink after their shifts in the hot kitchen and in turn made it trendy. The most popular is the Stiegl Radler brand, made with grapefruit and lager, and under 3 percent alcohol. You can down a pitcher with ease. Or so I hear. The Stiegl Radler usually comes in cans, though Herb & Bitter Public House on Capitol Hill has it on tap during happy hour for $6. The new Carlile Room in downtown also carries it. What started as whiskey Wednesday around Capitol Hill has evolved into something better: whiskey flights discounted everyday during the early and late hours to drum up business. It’s your best chance to sample Japanese whiskeys before prices skyrocket, as projected by many malt-whiskey aficionados around the world. Two of the best deals now: Monsoon offers a flight of Nikka Miyagikyo 12-year, Nikka Yoichi 15-year and the Hibiki 17-year for $21 after 9 p.m. Starting on Aug. 1, the new bar-restaurant Naka will do a short flight of the Yamazaki 12-year, Yoichi 15-year and Hibiki-17-year for $25 from 5-6 p.m. and 9-11 p.m. daily. The daiquiri was easily the most popular drink when I visited the world’s biggest booze festival, Tales of the Cocktail in New Orleans, held three weeks ago. Rumba features eight different daiquiris including a carbonated variation that goes down as easy as soda pop on a hot day. Nearby, the acclaimedStateside restaurant gave it a Southeast Asian twist with lychee liqueur. In Bellevue, Lot No. 3 amps up the tropical flavors by mixing banana- and pineapple-infused rums, along with a banana liqueur. You don’t need to wait for Tiki Tuesday for those kitschy, beach drinks anymore. Many bars now either feature at least one tiki drink on the menu or do kitschy, faux-Polynesian drink specials several nights a week. Quietly, the Diller Room downtown has put together one of the best tiki programs in Seattle, though you have to request the menu. Hotel Albatross, the new tiki bar in Ballard, also does beach drinks every day. The most popular tiki event is at the new Belltown hotel bar Pennyroyal (Sundays from 3-7 p.m.), where a guest bartender brings out his or her inner Trader Vic while old-school hip-hop gets cranked up for what otherwise would be a sleepy Sunday around town. The best tiki deals are at Sun Liquor, on Summit Avenue East, though that bar only does tiki night once a month. Its next tiki night is on Aug. 4.